The Possession Blu-ray Review An entertaining Hollywood horror that uses the Jewish faith as the inspiration... just don't go looking for a Dibbuk box on eBay! The Possession is based on a true story. However the word based should be changed to inspired as the film has tentatively links to the original story that this film is based on. Having watched the original Paranormal Witness episode revolving around the Jewish Dibbuk box (scary stuff), writers Juliet Snowden and Stiles White still manage to create an entertaining and at times scary film based on this premise. The story revolves around Clyde (Jeffrey Dean Morgan) and his young daughter Em (Natasha Calis) who becomes extremely peculiar when she purchases an old box from a yard sale. Upon investigating this box, Em unwittingly unleashes an evil spirit which in turn possesses the young girl. At first Clyde believes that her erratic behaviour is due to his divorce with ex-wife Stephanie (Kyra Sedgwick) but as it worsens, Clyde realises that her condition is due to the supernatural. 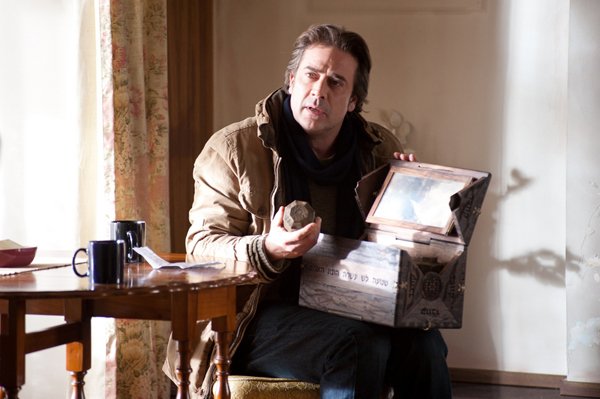 After a violent altercation with Em due to the spirit, Clyde has a restraining order placed on him and he then begins his investigation of the Dibbuk box which he discovers that it is a container to hold an evil spirit. This leads him to the Jewish priest Tzadok (Matisyahu) who begins a frantic exorcism of Em which leads to a classic Hollywood horror ending with clichés and a few twists. The Possession isn't a bad film but the budget does create some bland computer graphics and the editing feels a little disjointed at times. At the end of a nerve racking scene, the movie just swaps to another scene that is a little disheartening at times. There's not fade out or filler, it just begins. Thankfully the cast more than makes up for these little short falls. There are three standout performances in the film which include Jeffrey Dean Morgan as a father who will stop at nothing to save his daughter, Natasha Calis as the 10-year old Em who is clearly older than her character but it still works and that of Matisyahu who plays the perfect rabbi. 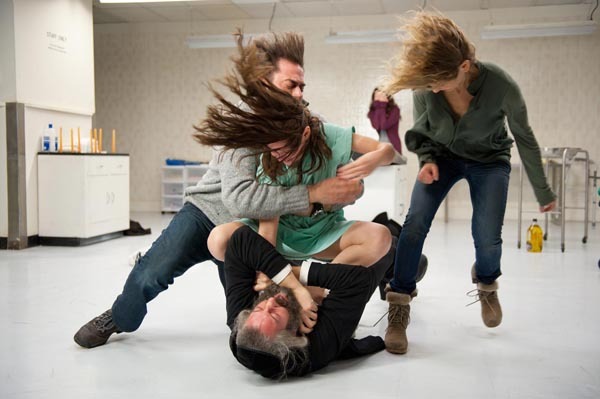 What I did like about The Possession was that it moved away from the traditional aspects of Catholicism and moved into a relatively new area for Hollywood with the Jewish Faith. 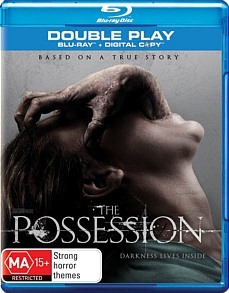 The video quality of The Possession is exceptional on Blu-ray as is the audio which is DTS HD 5.1 and uses the surround sound well. The only special feature is The Real History of the Dibbuk Box which goes into the inspiration of the story behind The Possession and how this cursed box has ruined those who have come into possession of it. The Paranormal Witness episode is considerable better but you do get to see the actual Dibbuk box which reminds me of something from Indiana Jones. An entertaining Hollywood horror that uses the Jewish faith as the inspiration. Just don't go looking for a Dibbuk box on eBay!